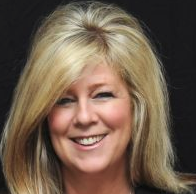 iHeartMedia announced Wednesday that Amy Griesheimer has been named Area President for the Denver Region. As Area President, Griesheimer will work with the programming and sales teams for radio brands in Fort Collins; Colorado Springs; Ogallala, Nebraska; and Cheyenne, Wyoming to oversee on- air and digital programming as well as create new business and revenue opportunities. She will work closely with the iHeartMedia Denver Senior Vice President of Sales, Ryan Clune, and Senior Vice President of Programming, JoJo Turnbeaugh, as well as Colorado Springs Market President, Samantha Kumm. Griesheimer will report to Tim Hager, President for iHeartMedia’s Denver Region and will be based in Fort Collins. Griesheimer is an industry veteran who brings 29 years of broadcast radio experience to her new role. Her extensive background includes a variety of Vice President, Director of Sales, General Manager and Market Manager positions at stations in Denver, Seattle and Madison, Wisconsin.